Become part of a growing community of science joining other emerging, high-growth life science companies and translational research centers of the University of Maryland, Baltimore (UMB). For early-stage to mature bioscience companies, the BioPark offers a sophisticated laboratory and office environment on the University's vibrant academic medical center campus. In 2017, the Association for University Research Parks (AURP) named the BioPark the "Outstanding University Research Park of the Year." 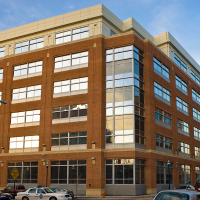 Founded in 1807, the University of Maryland, Baltimore is a thriving biomedical research institution in downtown Baltimore with professional schools of medicine, dentistry, nursing, pharmacy, law, social work and a multi-disciplinary graduate school. Nearly 1,200 faculty received $667.4 million in extramural funding in the last fiscal year, more than $2 billion in the last four years, in areas including cancer, genomics, vaccines, neuroscience, vascular biology, HIV/AIDS, and regenerative medicine. The 12-acre BioPark on the west side of campus will boast 1.8 million square feet of lab and office space in 12 buildings plus garage parking and landscaped parks at final build-out. 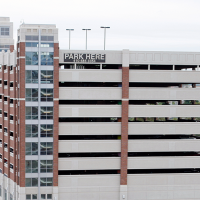 By 2010, 470,000 square feet in two-multi-tenant buildings, one 638-space parking garage and the State of Maryland's new Forensic Medical Center were completed. 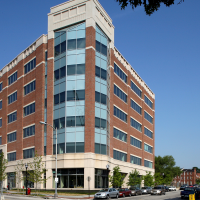 Development of a third multi-tenant commercial building is planned and a new clinical facility, the Maryland Proton Treatment Center, began treating patients in 2016. 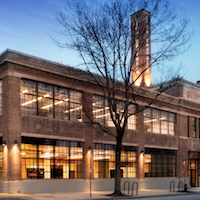 The latest innovation space, called The GRID, opened in January 2018. BioPark building designs maximize flexibility to accommodate a range of occupancies from small-scale pre-built lab and office space in the BioInnovation Center to full floor users. Infrastructure meets the requirements of the most demanding science environments while permitting optimum internal planning flexibility with minimum intrusions. 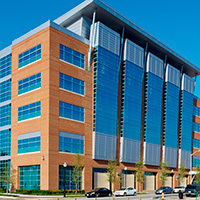 Whether your company is locally-rooted or internationally-based, the BioPark provides an ideal location in the midst of a large regional bioscience cluster that is situated at the mid-point of the U.S. East Coast life science corridor and with direct access to the University's talented scientists and outstanding biomedical facilities. The BioPark is also just minutes from major interstates, the airport, rail connections, and Baltimore’s beautiful Inner Harbor.